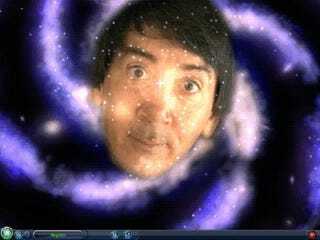 Will Wright, the man who launched a million sims, is broadening his horizons. The famed digital toy maker responsible for SimCity, The Sims and Spore, is leaving video game publishing behemoth Electronic Arts to dabble in every form of entertainment from robots and toys to television shows, movies and, yes, even more video games. Wright recently announced that he would be departing EA for his new company, Stupid Fun Club, which he describes as an entertainment think tank. The company was actually started in 2001 as a club for designing robots to compete in television's Robot Wars, he said. At entertainment think tank Stupid Fun Club, Wright will be able to spend more of his time focusing on creating entertainment and less time worrying about how to bottle it. Shortly after announcing his departure, Wright spoke with me about his decision. It's one, he agrees, that will allow him to be much more media neutral in his creations. There are two ways creative things are made, he said. "One model is the Marvel, Lucas Arts idea, where you focus on core themes," he said. "The other side is where you concentrate on developing core technologies. Then you figure out how to build a new property around these new tech-enabled experiences. " Wright hopes that Stupid Fun Club can meld both ideas, working on concepts and themes from the bottom up. Once an idea achieves critical mass, the company would work with an external product team to turn it into something marketable. "We will have to have a very tight working relationship with companies like EA," he said. What excites Wright the most about his new company is the potential it will have to blend the languages of different forms of entertainment. "You see television shows picking up the language of video games, toys borrowing from the web, it's all kind of already happening, but it's a little unnatural," he said. "We will be an entertainment company first and then figure out how to get a great TV show or video games. " While Wright's company is already working on potential video game ideas, he seems most interesting in delving into the process of creating physical toys. "The toy industry has almost been like the television industry, in a slow decline," he said. "Kids are growing up in this digital age, they are finding video games so compelling and centered on them that they find that a plastic toy isn't very compelling. Wright thinks that if toys can be made to feel more personal, more about the children, they will become more compelling and thus more relevant. "Toys gives you an interesting way of looking at the world around you," he said. I asked Wright what he would tell people he did now that he's leaving the more familiar realm of game design. "I don't know," he said. "I suppose entertainment designer."